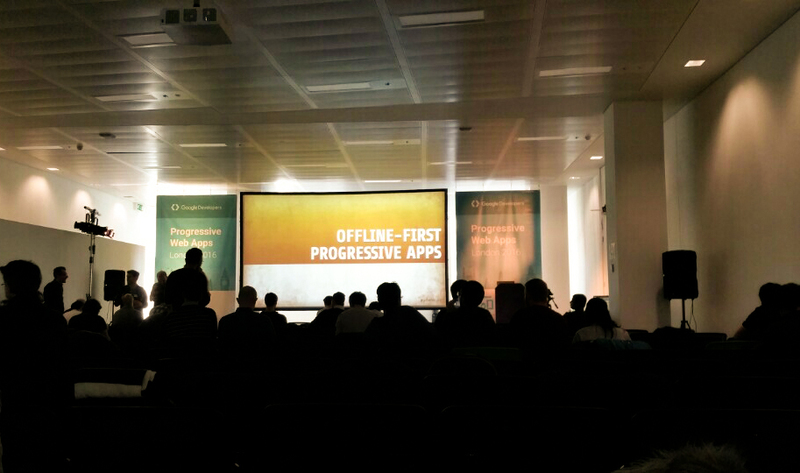 In London a few weeks ago Google invited a group of developers to a seminar on the Progressive We Apps. 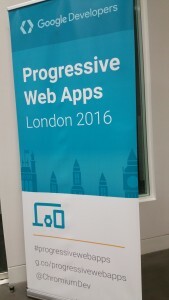 The term progressive web apps is used to describe a website which gives an experience to the user as if it was an app on a phone. Various speakers from Google show cased the latest developments in the web industry on the various techniques that could be used to give the user a better experience. There are alot of changes happening in web browsers at the moment and the pace of change this year is going to be happening at a much faster rate. Below I have given a run down some of the changes I think will affect developers that were highlighted by Google. Most of the changes affect all browsers and are part of the W3C ratification of the various standards. This is a very important topic and was at the start of the seminar, this protects user data and the website owners. Using SSL (https) for everything encrypts the data between the user and the website to prevent snooping and data getting manipulated. It should work on any browser that the user chooses to use. Use web.p for image compression and only download what the user initially needs. One way is to split up the CSS into the most important elements so that this can be cached. This is could be the layout before the fold so that the user can see something when it is trying to connect or has a flaky connection. Also you could create a regioning style sheet. When the user has a poor signal the website should at least show something to the user. Either by showing cached pages or a message. These things can be implemented in the latest browsers by some new meta data. This gives the user a better experience like they have when using an app. Jake Archibald gave a demonstration of the ways on which developers could use the techniques. It certainly was a lively demo. He had created a web app where you can only talk with emoticons. it streamed the data from a cached data when it was last loaded. This is another big development where data streams are greatly increased using the new standard. It saves time splitting headers and data. This is the part where the user experience would be greatly enhanced as mentioned above. Service workers sits between the users browser and the ISP servers. Find out more on the link below. Its all looking good for the development of the web especially for developers, making life easier to develop for the so many devices that are around at the moment. And there will be even more in the future. If you want any of these implemented on your website use the contact us form on our website.